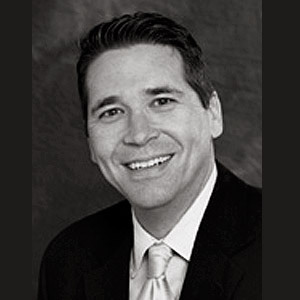 Christopher Albence is the founding member of the firm of Albence & Associates, APC, established in 1994. Mr. Albence’s practice concentrates on wills, trusts, probate, trust administration and trust and estate litigation. He has practiced exclusively in trust and estate law for over 24 years. He became a Certified Specialist in Estate Planning, Trust and Probate Law by the State Bar of California in 2001, a distinction that fewer than 1% of all California attorney possess. He has drafted thousands of estate plans, administered hundreds of trusts and estates, and litigated hundreds of trust and estate cases. Trials and settlements on behalf of his clients in the trust and estate litigation portion of his practice exceed tens of millions of dollars. He has built the Firm to be a full-service trust and estate firm. Each firm attorney practices exclusively in the trust and estate area of the law and each has an emphasis on a subsection of the law including probate, estate tax planning, trust and estate litigation, conservatorships, long-term care planning, and special needs trusts. His philosophy is that to become a great estate planning attorney, one who drafts high quality estate plans, one must have diverse experience in litigating and administering trusts and estates. It is difficult for an attorney who only drafts estate plans, without being involved in their ultimate administration or disputes, to become a great estate planning attorney. As such, each firm attorney has experience in litigating trusts and administering trusts. Many estate plans appear to be clear on their face when completed. The conflicting terms, gray areas, and lost tax savings opportunities often only become apparent after a death. Experiencing those unfortunate cases, affords each firm attorney the opportunity to become a more proficient and skilled drafting attorney, who can design an estate plan to avoid those unfortunate situations and provide our clients with the appropriate estate plan for their situation. His first legal position was as an associate attorney for Senior Citizens Legal Services, a non-profit organization. He has conducted numerous seminars and speaking engagements on estate planning and financial protection of the elderly. Mr. Albence’s business, financial and legal background have created a practice that consists of all facets of estate planning, trust administration, trust and estate litigation. Mr. Albence was born in New Jersey and graduated from Jesuit High School Tampa, Florida. He did his undergraduate work at Clemson University and Florida State University, where he received a degree in Finance. He obtained his law degree at California Western School of Law and was admitted to the California State Bar in 1993. 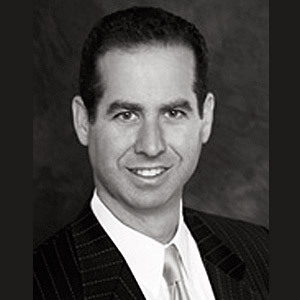 His organization affiliations include the California State Bar, State Bar Board of Specialization – Estate Planning, Trust and Probate, 2003-2005 chair of the San Diego Bar Association Trust and Probate Section, 1997-1998 President South Bay Bar Association, the San Diego County Bar Association, the La Jolla Bar Association, the South Bay Bar Association, the California State Bar Trust and Probate Section, the San Diego County Bar Trust and Probate Section, the La Jolla Bar Trust and Probate Section; California Advocates for Nursing Home Reform, former board member of the South Bay Bar Association, former Board of Directors for the South Bay Lawyer Referral Service and Board of Directors La Jolla Bar Association. David S. Pawlowski has over 24 years of experience representing individuals, private fiduciaries and organizations in all aspects of estate planning and estate litigation. Mr. Pawlowski’s practice focuses on Trusts, Wills, Trust Administration, Probate and Medi-Cal Planning. Over the course of his career, Mr. Pawlowski has acquired a reputation for quickly evaluating and assessing complex estate planning and estate litigation matters and a unique ability to think “out of the box” to resolve those matters. Mr. Pawlowski has vast experience in handling matters involving disputed trusts and wills, including capacity and undue influence claims, Trustee malfeasance, Trustee defense, matters involving powers-of-attorney and elder abuse claims. An advocate of employing aggressive litigation techniques to prepare for trial or negotiate a settlement from a position of strength, Mr. Pawlowski has achieved results for clients that seemed unattainable at the inception of the case. Mr. Pawlowski handles matters in all courts in Southern California, including but not limited to San Diego, Orange County, Los Angeles, Riverside and San Bernardino Counties. Mr. Pawlowski also is “Of Counsel” for an estate planning firm with headquarters in Orange County with offices across Southern California and handles all of their estate litigation on a state-wide basis. Graduating from California State University, Fullerton in 1989 and from Cal Western School of Law in 1993, Mr. Pawlowski is a member of the California State Bar, Estate Planning, Trust & Probate Law Section, San Diego County Bar Association, a frequent guest speaker concerning estate planning and estate litigation and formerly hosted a weekly estate planning and estate litigation radio show. Living in Del Mar with his family, Mr. Pawlowski proudly serves on the Board of Directors for the Boys and Girls Clubs of San Dieguito, the Board of Directors for Solana Beach Little League, coaches his son’s little league team and formerly was a member of a group based in Del Mar that owned horses which raced primarily at the Del Mar Thoroughbred Club. Keeley C. Luhnow is a “superb” rated (10/10) attorney on Avvo.com. For 15 years she has practiced in the areas of probate, trust administration, conservatorships (general and limited), and estate planning and has filed probate matters in counties all over the State of California. 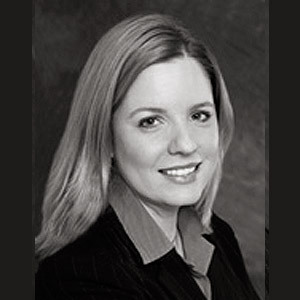 Ms. Luhnow was co-chair of the San Diego County Bar Association Elder Law Section in 2006-2007, co-chair of the San Diego County Bar Association Estate Planning, Trust and Probate Section in 2013-2014 and chair of the San Diego Probate Bench-Bar Committee in 2015. Ms. Luhnow was an editor and contributing author of the 2017 San Diego County Probate Handbook, published by Probate Attorneys of San Diego. In 2005, she was hired by the State of California to train Adult Protective Services employees in the legal fields of wills, trusts, and powers of attorney and advocating for senior citizens and dependent adults’ legal rights. Ms. Luhnow instructed over 700 Adult Protective Services employees throughout the State of California. Ms. Luhnow’s organizational affiliations include: Probate Attorneys of San Diego, San Diego County Bar Association Elder Law section and Estate Planning, Trust and Probate section, San Diego Superior Court Probate Bench-Bar Committee, and the California State Bar Association Trust and Probate Section. She received her B.A. in history from California State University, San Marcos and her law degree from Wake Forest University School of Law in Winston-Salem, North Carolina. Mr. Woodward’s practice focuses on estate planning, trust administration, and probate and estate litigation. He has diverse experience in the areas of wills, trusts, business formation, federal and state taxation, and estate litigation. His litigation clients include individual and professional trustees, beneficiaries, surviving spouses, care givers, and omitted heirs. Prior to joining Albence and Associates, APC, Mr. Woodward was an attorney at a major securities litigation firm headquartered in San Diego. He was involved in a variety of complex litigation cases, including mortgage backed securities cases and post-merger derivative suits. His diverse litigation experience in multi-party, national scale cases, blends well with his estate planning and tax experience, to afford his estate litigation clients exceptional representation. 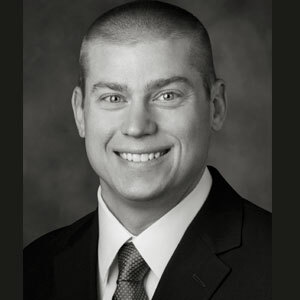 Mr. Woodward earned his law degree from the University of San Diego, where he also received a Master of Laws in Taxation, with an emphasis on complex estate planning and business planning. Prior to law school, Mr. Woodward earned his B.A. in Economics from UC San Diego. Mr. Woodward is licensed to practice law in California, and to appear in the Southern District of the United States Federal Court. Mr. Woodward’s philanthropic activities include the Volunteer Income Tax Assistance program, Habitat for Humanity, and the San Diego Volunteer Lawyer Program. Copyright © 2018 Albence and Associates Attorneys at Law. All rights reserved.